The Hague Nuclear Security Summit (NSS). Better preparedness may evert the threat of nuclear terrorism. Possible failure of nuclear negotiations with Iran. Why do nations reach for the Bomb? Symbolic moment: EU:s closer ties with Ukraine, Georgia and Moldova. Ukraine, Georgia and Moldova took a big step toward closer ties with the EU as they signed Association Agreements at the European Council meeting in Brussels on 27 June. This is a symbolic moment for all three countries. And now FM Carl Bildt is in Moldova, Georgia and Ukraine journey, after signing EU agreements. All countries also signed deep and comprehensive free trade agreements (DCFTAs) which are expected to bring many economic benefits for Moldova, Georgia and Ukraine by offering businesses access to the EU’s single market– the largest in the world. These ambitious agreements “will enable our partner countries to drive reforms, to consolidate the rule of law and good governance, and to give an impetus to economic growth in the region by granting access to the world’s largest internal market and by encouraging cooperation across a wide range of sectors,” stressed European Commission President José Manuel Barroso. The Association Agreements will significantly deepen political and economic ties with the EU in the framework of the Eastern Partnership. As the EU has expanded, these countries have become closer neighbours, and their security, stability and prosperity increasingly affect the EU’s. Closer cooperation between the EU and its eastern European partners is very important for the EU’s external relations. 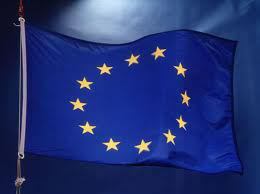 The European Union is currently focusing its efforts on de-escalating the crisis in Ukraine. The EU calls on all sides to agree and honour a ceasefire immediately in order to stabilise the security situation, achieve a genuine de-escalation and create the necessary conditions for President Poroshenko’s peace plan to be implemented. The EU foreig affairs council recalls its strong condemnation of the illegal annexation of Crimea and Sevastopol and will not recognize it and EU calls on all sides to continue engaging in a meaningful and inclusive dialogue leading to a lasting solution; to protect the unity and territorial integrity of the country and to strive to ensure a stable, prosperous and democratic future for all Ukraine’s citizens. At the European Council meeting in Brussels on 27 June. European Council President Herman Van Rompuy pointed out that these “are not just any other agreements – but milestones in the history of our relations and for Europe as a whole.